With its principal focus on work by black South African artists active between the 1920s and 2005, the private collection of over 470 works assembled by Bruce Campbell Smith is arguably unique and perhaps the most impressive of its kind outside of any public institution.2 It constitutes a rich, albeit selective, chronicle of this particular collector’s personal collation of objects representing South African endeavour in the visual arts over a period of some eighty-odd years. The collection presents a range of images – including some of undoubted, if not iconic, importance – ranging from the colonial and apartheid eras to embrace the first ten years of the new democratic order. While black artists predominate in the Collection, lending a near-imperative to read it solely as a collection of ‘black’ art, the much smaller selection of work by white artists acts as a useful counterpoint to the work of the black artists. It emphasises the integrated narrative and the variety of cross-cultural synergies that the Collection and its collector purport to present. To attempt to relate the history of ‘black art’ in South Africa between the 1920s and 2005 without any reference to the presence and the role of white artists would be to literally ‘sterilise’ that narrative and ‘remove its fecundity’. The work of the white artist can and should be seen as the indispensable ‘shadow’ in this ‘text’.3 It can also be noted that the precedent on which the Campbell Smith Collection is clearly modelled, Steven Sack’s revelatory exhibition entitled The Neglected Tradition (1988) which dealt with the marginalised history of black art in South Africa, also included three white artists.4 While these artists were included in Sack’s exhibition largely because of the educational role that they played in relation to black artists, the Campbell Smith Collection seems to propose a broader vision; a gesture towards the integration of disparate South African art histories. It must be remembered that unless formally consolidated, handed down or housed permanently in some way, any private collection is, in the end, capable of being broken apart and dispersed, its constituents being recycled and embedded in new collecting narratives elsewhere. The ever-higher prices that quality works by recognised black artists, particularly the so-called ‘pioneers’ Gerard Sekoto, John Koenakeefe Mohl, George Pemba and Gerard Bhengu, have begun to command over the past ten years, have now reached a point that has placed them beyond the reach of virtually every public art museum.8 Acquiring their work now even strains the generous budgets of corporate art collections which have always had more financial resources by comparison. The rapid increase in the value of works by these artists is, in art market terms, almost congruent with the ongoing political and social transformation of South Africa since 1994. It has been driven, at least in part, by the emergence of a new hagiography of South African art, as well as an element of expedient accommodation on the part of the white-dominated South African art market that has begun to identify with the new political order. Work by the ‘pioneer’ generation of black artists has been progressively identified as ripe for speculative investment. While low prices at auctions were an indication of economic and political pessimism before 1994, the euphoria accompanying the successful transfer of power to the black majority, as well as the ANC government’s general affirmation of free-market capitalism, has seen a marked rise in prices commanded for the work of these artists. Worth noting is that while the once-marginal area of black art in South Africa has now been opened up by research, publications and the first mounting of exhibitions such as The Neglected Tradition (1988) or Gerard Sekoto: Unsevered Ties (1989), these academic and museological contributions did not initiate an instant increase in market value. There has rather been an indeterminate period during which a mounting combination of academic, curatorial and political processes slowly started to shift these artists from outside the ‘official canon’ of South African art towards the canonical status accorded white artists such as Irma Stern and Maggie Laubser. It was at this interim stage that a small number of maverick collectors appeared in an area that was then still generally regarded as the ‘unconventional’. One of them was Bruce Campbell Smith, then an entrepreneur in the clothing industry, but previously an activist and a student in Fine Art at the universities of KwaZulu-Natal and Cape Town in the mid 1970s. Fig.3 Bruce Campbell Smith Campaign Poster (1976). Any art collection embodies certain narratives, but the Campbell Smith Collection is unusually ambitious in that, according to Campbell Smith himself, it is his contribution ‘towards a new history of South African art’.9 In other words, he sees it as a structured collection in which his chosen artists and their individual works are linked to each other by a myriad of possible associations. Such a perception is typical of the passionate collector, for whom, as Baudrillard observes, ‘a single object can never be enough: invariably there will be a whole succession of objects, and, at the extreme, a total set marking the accomplishment of a mission’.10 Campbell Smith’s ambitious ‘mission’, since he operates alone and outside of an institution, will always be defined an essentially private and selective one. It is unusual, however, to encounter a collector who is pursuing an independent course which at face-value appears to parallel the policies of transformation which have been written into the collecting policies of every publicly and university-funded art museum in the country since at least the mid 1980s. There is of course the example of the University of Fort Hare Art Collection which has focused exclusively on black artists and dates its inception from 1965. These observations may well apply to those whites – mostly women – who represent a sizeable proportion of the staff within official academic, cultural and art educational institutions. But, considering the paucity of black art collectors in South Africa, what of the private white male ‘interlocutor’ – collector who has chosen the field of ‘black’ South African art as his particular collecting passion? Campbell Smith, the white male South African and passionate collector of ‘black’ South African art might seem to be a contradiction of Jean Baudrillard’s observation that ‘it is invariably oneself that one collects’.13 Campbell Smith is not black, but he has, in Baudrillard’s sense, now been engaged in an intense and passionate process of ‘collecting himself’ for some twenty or more years. How this externalised ‘self’ has become congruent and empathetic with aspects of black South African cultural identity is an important autobiographical narrative paralleling the Campbell Smith Collection’s ostensible art historical one. produced for the Christian Institute, 1976. Campbell Smith’s KwaZulu-Natal origins; his background in Fine Art; his business acumen; his role as a student activist in the 1970s, leading to his arrest and detention, were all, in a sense, defining moments in terms of his collecting interests. The University campuses at both Pietermaritzburg and Durban, where he first began studying for a Bachelor of Commerce degree in 1968, were fertile hot-beds of political debate and anti-apartheid sentiment to which he was strongly drawn. He informally attended lectures in the Political Studies Department, given by the likes of Rick Turner who was later murdered in mysterious circumstances, allegedly by the security police. Overall, his years as a student were marked by a rejection of what he refers to as ‘the conditioned morality of the suburbs’ in which he had grown up.14 His studies in Fine Art finally began at the Pietermaritzburg campus of the University of Natal in 1973 after an interim period of youthful wanderings. Although he had some previous technical experience of photography, he struggled with the foundation courses in drawing and painting, observing that ‘what I lacked in technical virtuosity, I made up through my intense temperament’.15 It was his exposure to visiting lecturers from the then Natal Technikon in the persons of Gavin Younge, Cliff Bestall and Paul Stopforth, who first aroused his interest in the interface of art and leftist activist politics. His initial struggles with studiowork courses led to a turn for the better when in 1974, his second year of study, Campbell Smith submitted a triptych of etchings and two sculptures to the Art South Africa exhibition at the Durban Art Gallery, and they were accepted. These works were favourably mentioned in a subsequent review. He also recalls the importance for him of Raymund van Niekerk – later Director of the SA National Gallery – who was the newly-appointed head of the Fine Arts Department at this time and who taught art history. Campbell Smith recalls that Van Niekerk ‘played a formative role in helping me to develop my critical faculty’.16 Students were encouraged to read outside of the discipline and to look at a range of literature, including Greek tragedies, the writings of various social historians and art critics, notably Charles Baudelaire (1821–1867) whose criticism, for Campbell Smith, was the subject of a hefty term paper.17 It was towards the end of that year while attending a workshop organised by Aquarius, the cultural arm of the National Union of South African Students (NUSAS) that he met Dimitri Fanourakis, a lecturer in photography at the Michaelis School of Fine Art at the University of Cape Town (UCT). Fanourakis staged an avantgarde art ‘event’ at the workshop. In subsequent conversations, he impressed Campbell Smith so much with the calibre of his ideas that he decided to transfer his studies to UCT the following year. The next two years at UCT saw him pursuing studies in sculpture, printmaking and photography, although his interest in printmaking soon ended after conflicts with lecturer Katrine Harries (1914–1978) over his wish to use large steel plates for his work. He concentrated on photography and won the Michaelis Prize at the end of 1975 for his portfolio of work that dealt with prostitution. At the same time he became involved on the steering committee of the Students for Social Democracy at UCT, and worked on campaigns for the Christian Institute and the Institute for Race Relations. The former was later declared to be ‘an affected organisation’ and closed down after the 1976 uprisings. For these organisations he designed posters and conceived campaigns to highlight the inequalities in South African society. The Soweto uprisings of June 1976 also ignited protests at UCT and Campbell Smith was in the forefront of action taken by the student body to show solidarity with black students and to protest against the draconian measures taken against them by the government. 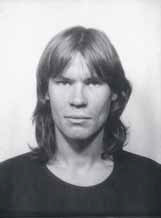 His off-campus activities intensified and with the involvement of the previously-mentioned organisations and the South African Council of Churches, he became engaged in a plan to stage mass action and protests across the country on December 16, then observed by the apartheid state as the Day of the Vow. This was to be a national day of solidarity with black students. After a trip to Johannesburg to solicit the support of the South African Council of Churches who provided the funds, as well as to get the approval of relevant black student organisations in Soweto, he designed a poster to coincide with these planned events. The poster (fig. 3) incorporated the already-famous photograph of Hector Petersen taken earlier on 16 June by Sam Nzima; permission to use it having been obtained through the editor of The World, Percy Qoboza. A printing press in Athlone was instructed to print the poster for the forthcoming campaign, but its premises were raided by the security police and the campaign material was confiscated. Campbell Smith was shortly thereafter arrested along with two others, Jean Naidoo and Themba Nolutshungu, and was detained under Section 6 of the Terrorism Act. Together with Naidoo he was transported from Cape Town to John Vorster Square in Johannesburg and held in solitary confinement until his release just before Christmas, 1976. Nolutshungu was held in deplorable conditions in Cape Town. 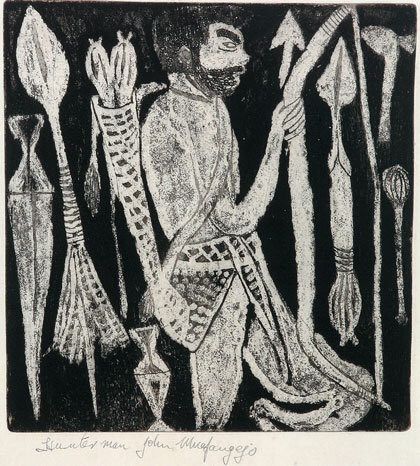 Fig.5 John Muafangejo - Hunter Man.1969, etching, 29.2 X 28cm. After Campbell Smith’s release, various skirmishes with what he refers to as the ‘partisan politics of the [official] art world’ 18 led to disillusionment and he renounced his interest in being a photographer. With the symbolic gesture of selling his precious Hasselblad camera to raise some funds, he left South Africa to travel and work in Europe and the United States for several years. He returned in 1979 to build a new but temporary career in the clothing industry, which, after a shaky start, became highly successful before he decided to terminate it. These life experiences, it seems obvious, all shaped and informed the collector he was subsequently to become inasmuch as they informed the field, the direction and the choices made in assembling his art collection. Apart from the obvious aspects of his art training and his identification with black aspirations in the face of apartheid, his collection reveals him exercising particular predilections. The large number of prints for one, are congruent with his own interest and experience in printmaking. The overwhelmingly figurative nature of the Collection, in which only two semi-abstract works by Louis Maqhubela stand out as possible exceptions (see plates 134 & 135) is otherwise focused on representational drawing, painting and sculpture. While this generally reflects on his own personal attempt to master these media as an art student, his interest in figuration, it could be argued, also lies within photography’s concern with observable reality. His position on a cusp between dealing with his own white identity and his empathy with a complexity of both historical and emergent black identities struggling under colonialism and apartheid, might also be seen to tip his selections towards a complex variety of forms of realism, if not social realism. The latter are well exemplified in his more recent purchase of four works by Joseph Manana (plates 308, 309, 310, and fig. 8, p.41). His frequent use of E.J. de Jager’s term ‘figurative expressionism’ 19 in relation to the work of Dumile Feni (plates 136-151) and others seems by its emphasis to underline his disinterest in non-figurative work, borne out by the absence, for example, of significant works by members of the Thupelo Workshops. Another artist, Sam Nhlengethwa (b.1955), for example, is represented by collage works (plates 289, 290, 291) that deal with social commentary such as The Party (1992) and Sharpeville (1992) to the exclusion of any of his earlier, large-scale abstract paintings. John Elsner and Roger Cardinal, editors of The Cultures of Collecting (1994), have pointed out that in terms of the study of the history and theory of collecting there is now a move away from the traditional and dispassionate study of ‘the collection’, which tended to overlook the actual personality of the collector. New approaches now view the activities of the collector as ‘a performance’, presenting ‘a narrative of how human beings have striven to accommodate, appropriate and to extend the taxonomies and systems of knowledge they have inherited’.20 A closer look at some of the works in the Campbell Smith Collection demonstrates this in practice. Not only are there rare, if not singular pieces by certain artists that have never been published or exhibited before, such as a series of woodcuts by Cyprian Shilakoe (plates 194-198), but also works that turn up some art historical surprises. For example, Nelson Makhuba’s Untitled (female figure, plate 253), a wooden sculpture acquired by Campbell Smith immediately after the artist’s destruction of most of his remaining work by fire and his subsequent suicide in 1987, is signed and dated 1967. This considerably predates the so-called ‘discovery’ and first revelation of the Venda sculptors on Ricky Burnett’s Tributaries exhibition in Johannesburg in 1985, and reveals that this group of artists in Limpopo Province were part of an emerging tradition of sculpture in this region and by no means a sudden phenomenon. Although two-dimensional works form the bulk of his collection, sculptures were in fact the very first acquisitions that Campbell Smith made. The spark that indirectly ignited his collecting impulse was Ricky Burnett’s Tributaries exhibition. This was a seminal exhibition staged, as already mentioned, in 1985. Burnett’s conception was to exhibit what he considered to be a true reflection of South African art by bringing together rural black and rural white as well as urban black and urban white artists in the same exhibition. To this end he looked for works not only in art collections but also in anthropological storerooms. It was a watershed exhibition for South Africa as it began to question art and art historical categories, in line with then-recent international cultural theory. Tributaries generated much excitement in what was then fast becoming a claustrophobic cultural environment because of the tightening cultural boycott. A state of emergency was about to be declared, and South Africans were compelled to look inwards to their own cultural resources rather than at what was happening internationally.21 The huge success of Tributaries inspired sequel exhibitions, such as Out of Africa, which Campbell Smith saw at the UCT Irma Stern Museum on its tour to Cape Town in 1987. It featured works from the ‘homelands’ of Gazankulu, Lebowa and Venda by the likes of Jackson Hlungwani (qv. ), Nelson Makhuba (qv.) and Dr Phutuma Seoka (qv.). Although he bought nothing from the Out of Africa exhibition, since all the pieces he liked most were already sold, Campbell Smith took the initiative to take time off work and on three occasions travelled to Limpopo Province, initially with Neville Trickett and later with sculptor Gavin Younge from the Michaelis School of Fine Art at UCT. Here he was able to meet the artists and purchase work directly from them. It was here too that he met Nelson Makhuba and managed to purchase a work by him that was on the Out of Africa exhibition, although originally not for sale. This was the guava wood Dancer (plate 252), which the sculptor considered to be one of his finest works. The sculpture shows a distinct departure from Makhuba’s usual subtractive carving of a human figure from a solid piece of wood, towards a spontaneous and more ‘additive’ approach, using the forms of a carefully selected section of the branch of a guava tree which, with the addition of articulated arms, painted elements and an old wheel as a base, suggests sensuous movement. This work heralded new departures in Makhuba’s work that were soon to be cut short by his death. The ambitious scale and content of the Campbell Smith Collection, as well as what it reflects in socio-political, historical and even anecdotal terms, is impressive. It broadly addresses what is now referred to as ‘the neglected tradition’ in South African art. While reference has already been made to the seminal importance of Tributaries in 1985, the Collection is largely predicated upon another now-legendary exhibition that originated this term. The Neglected Tradition: Towards a New History of South African Art, curated by Steven Sack, opened at the Johannesburg Art Gallery in 1988. This exhibition is today acknowledged as a first milestone in the arduous task of retrieving the lost histories and reputations of black artists marginalised by colonialism and apartheid. It has had its sequels in the form of a number of related exhibitions which toured the country such as Gerard Sekoto: Unsevered Ties in 1989 (Johannesburg Art Gallery); Gerard Bhengu: A Retrospective Exhibition in 1995 (Tatham Art Gallery); Hand in Hand: a retrospective exhibiton of Ernest Mancoba and Sonja Ferlov Mancoba in 1994 (Johannesburg Art Gallery); the George Pemba Retrospective in 1996 (Iziko SA National Gallery); Land and Lives: A Story of Early Black Artists in 1997 (Johannesburg Art Gallery) and most recently the touring Dumile Feni Retrospective in 2004–2005 (Johannesburg Art Gallery). Largely because it never travelled to Cape Town, Campbell Smith never saw The Neglected Tradition, but the catalogue, which has now gone into several reprints, fired his imagination. ‘Almost for the first time’, he relates, ‘I was exposed to a plethora of black talent. It was my first sight of works by many black artists such as Dumile and Motau …’22 It was after seeing this catalogue that he claims that he became conscious of the need to contribute towards a new history of South African art. Subsequent to The Neglected Tradition exhibition of 1988, Campbell Smith was able to see Gerard Sekoto: Unsevered Ties in Johannesburg the following year when he accompanied Gavin Younge who was filming the exhibition. Soon afterwards, back in Cape Town, he made his first purchases of several works by Sekoto that were offered to him in private sales. His association with Gavin Younge, who was doing research for his book Art of the South African Townships (1988), also made him aware of the work of certain artists such as Derrick Nxumalo (qv.). Developing a progressively proactive stance to his collecting in subsequent years, he began to actively source further items for his collection by scrutinising auction catalogues from around the country, and attending these sales. He bought his first Gerard Bhengu watercolours at Stephan Welz & Co. Combining his frequent business trips with searches for new purchases, he became a Cape Town (UCT). Fanourakis stagArt Centre in Durban, which continues to be a locus of interest for him in terms of keeping abreast of contemporary artistic developments in KwaZulu-Natal. In 1991 he managed to score a coup by going to Johannesburg in advance of the first Johannesburg exhibition by George Pemba (qv.) at the Everard Read Gallery, viewing most of the works while they were still at the framers, and making a pre-selection even before the exhibition’s preview. Campbell Smith’s particular engagement with art from KwaZulu-Natal, given his Durban origins, has been clear from the outset; some of the very first works that he bought at auction being watercolours by Gerard Bhengu, which later led to the purchase of examples by artists from the same region and period, such as Simon Mnguni (c.1865 [? ]–1956) and Arthur Butelezi (dates unknown). This area of the collection is the one which is perhaps the most historically-comprehensive. It moves on to works by Selby Mvusi (1929–1967) and is fleshed-out with a very strong representation of works by Trevor Makhoba (1956–2003), with whom Campbell Smith was on good personal terms. The purchase of paintings and pastel works done by the younger generation of artists that Makhoba inspired in KwaZulu-Natal, such as Sithembiso Sibisi (b.1976) and Themba Siwela (b.1975), indicate that this is the area of the Collection which comes closest to dealing with contemporary art, with works by these artists dating from 2005. These latest acquisitions reinforce earlier observations that Campbell Smith seems at present to be little-interested in works by contemporary black artists who are currently working outside of the ‘traditional’ media of painting and drawing. After the good representation of works by KwaZulu-Natal artists in the Collection, the comparatively thinner coverage accorded artists from the Western Cape, where Campbell Smith has been domiciled for over 25 years, seems anomalous. One practical explanation for this, according to Campbell Smith himself, has to do with the inaccessibility of good works by such artists as Louis Maurice (1917–1988), Valerie Desmore (b.1925) and Albert Adams (b.1930) either through sheer scarcity or the fact that some of these artists have long been in exile and have not returned to South Africa.28 The late Billy Mandindi (1967–2005) was the very first Western Cape artist whose work he began to purchase in earnest from the late 1980s onwards. He recalls that Mandindi was ‘one of the most exciting artists I ever came across. There was huge intellectual capacity in his art, especially in the early days’.29 He first met Mandindi when the artist was working in the basement of Gavin Younge’s house in Cape Town, and it was here that he first saw The Death of Township Art and Man amongst Men (plates 233 & 241), both dated 1989. These works were deeply admired by artist Malcolm Payne who was staying with Campbell Smith at the time and he alerted him to them when they became available on an exhibition at the Centre for African Studies at UCT. They were later selected for the important exhibition Art from South Africa curated under the conditions of the then-cultural boycott by David Elliot at the Museum of Modern Art, Oxford, in 1990. The thesis will certainly be put forward that the Campbell Smith Collection offers a revised survey of South African art over a critical epoch of social change, and that it is a contribution towards a more ‘inclusive’ vision of South African art over this period. A refutation of this claim has to be made since the Collection is perhaps more notable for what it excludes than it includes. Women artists are, for one, notably under-represented. But primarily there is no emphasis on the incorporation of material that reflects a broader and transformed concept of South African artistic production, which embraces and finds superb expression in notions of the abstract associated with the so-called ‘decorative’ or the ‘functional’. How traditional ‘black’ South African forms of expression have mutated and effloresced in response to colonial oppression, urbanisation, or even recent political events, are areas which this Collection eschews altogether. Jean Baudrillard. 1968. “The System of Collecting” in Elsner and Cardinal. (1994). The Cultures of Collecting. Reaktion Books: London. p. 12. It is difficult to make comparison with other private collections since these are difficult to access. The Bowmint Collection is referred to in several publications, but it is also known that this collection is, presently being dispersed on the art market. The present writer knows of only one black collector of black South African art, resident at present in London. Institutional collections of black South African art to which the Campbell Smith Collection may be compared are that at the De Beers Centenary Art Gallery at the University of Fort Hare, and sections of the Killie Campbell Collections at the University of KwaZulu-Natal in Durban. I refer here to Roland Barthes. 1975. (tr. Richard Miller) The Pleasure of the Text. Hill and Wang: New York. p. 32. The full text of the quotation is as follows: “There are those who want a text [an art, a painting] without a shadow, without the ‘dominant ideology’; but this is to want a text without fecundity, without productivity, a sterile text … The text needs its shadow … subversion must produce its own chiaroscuro”. These were Cecil Skotnes (b.1926), Edoardo Villa (b.1920) and Douglas Portway (1922–1993). See relevant sections of Steven Sack. 1988. The Neglected Tradition: Towards a New History of South African Art (1930–1988). Johannesburg Art Gallery: Johannesburg. Walter Benjamin. 1968. “Unpacking My Library” in Illuminations. (tr. H. Zohn, ed. H. Arendt.) Schocken Books: New York. p. 67. Baudrillard, “The System of Collecting”, pp. 23–24. For example, a painting by John Koenakeefe Mohl fetched R300,000.00 at the April 2005 auction at Stephan Welz & Co. in Johannesburg. By comparison the Iziko SA National Gallery’s entire acquisitions budget for the 2005–2006 financial year totals R150,000.00. Baudrillard, “The System of Collecting”, p. 8. David Koloane. 1999. “The Indentity Question: Focus on Black South African Expression” in Reading the Contemporary: African Art from Theory to the Marketplace. (ed. Olu Oguibe and Okwui Enwezor). Institute of International Visual Arts (inIVA): London. pp. 332–333. Okwui Enwezor. 1999. “Reframing the Black Subject: Ideology and Fantasy in Contemporary South African Representation”, p. 379. Baudrillard, “The System of Collecting”, p. 12. It may be of interest to cite a key text from Baudelaire to give some idea of the impact that his writings had on politicised art students at the University of KwaZulu-Natal at this time: What is the good of criticism? … to be just, that is to say to justify its existence, criticism should be partisan, passionate and political, that is to say, written from an exclusive point of view, but a point of view that opens up the widest possible horizons … “The Salon of 1846” in E. Holt (ed.) 1966. From the Classicists to the Impressionists: Art and Architecture in the Nineteenth Century, A Documentary History of Art. Doubleday: New York. pp. 173–174. Author communication, June 2005. His disillusionment sprang from the fact that his work was excluded from an exhibition curated by photographer David Goldblatt on the alleged grounds that it was student work. Prof. E.J. De Jager was the formative influence behind the establishment of the University of Fort Hare Collection which grew out of the activities of the University’s anthropology department under his direction from 1965 onwards. His book Images of Man: Contemporary South African Black Art and Artists (Fort Hare Univ. Press: 1991) was one of the first substantial texts on black art in South Africa. One cannot discount De Jager’s collecting activities as a model for the private collector seeking direction at the time of its publication. Although this text is now justifiably maligned by scholars such as Lize van Robbroeck (see her “Writing White on Black: Identity and Difference in South African Art Writing of the Twentieth Century” in Third Text. vol. 17, issue 2, June 2003. pp.171–182); collectors such as Campbell Smith still hold that he was a pioneer in this field. John Elsner and Roger Cardinal. (1994). The Cultures of Collecting. Reaktion Books: London. p. 2. I am grateful for assistance in defining the nature and context of the Tributaries exhibition from Dr Rayda Becker. Author’s general observation based on extensive discussions with Campbell Smith. Author’s conversation with Campbell Smith, August 2005. Baudrillard. “The System of Collecting”. p. 12. Walter Benjamin, “On Language as Such and on the Language of Man”, in Reflections, tr. Edmund Jephcott, ed. Peter Demetz. Schocken: New York. 1978. p. 60. Campbell Smith’s groupings did not follow the new designation of South Africa into nine provinces, thus the general reference to ‘broad areas’ which while emphasising Gauteng, the Western Cape and KwaZulu-Natal, tends to overlook the Orange Free State and Mpumalanga, areas from which there is no representation in the Collection at all. Juliet Leeb du Toit. 1995. “Bhengu in Context” in Gerard Bhengu 1910–1990: A Retrospective Exhibition. Tatham Art Gallery: Pietermaritzburg. p. 33. Everlyn Nicodemus. 1999. “Bourdieu out of Europe” in (ed. Olu Oguibe and Okwui Enwez with works by these artists datlard, “The System of Collecting”, p. 24. Fig.1 Photographs of the collector taken in the mid-1970s. Courtesy of Bruce Campbell Smith. Fig.2 Bruce Campbell Smith. Students for social democracy poster, 1976. Courtesy of Bruce Campbell Smith. 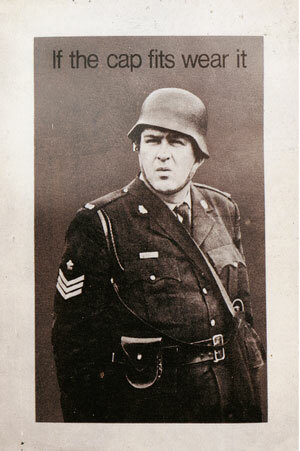 Fig.3 Bruce Campbell Smith. 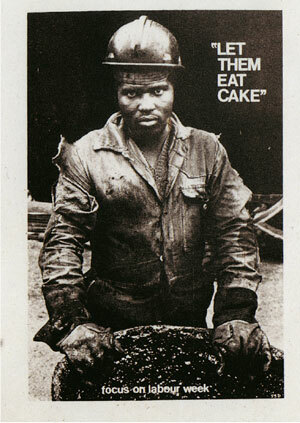 Campaign poster, 1976. Courtesy of Percy Qoboza, The World. Photograph of Hector Petersen by Sam Nzima. Courtesy of Bruce Campbell Smith. Fig.4 Bruce Campbell Smith. 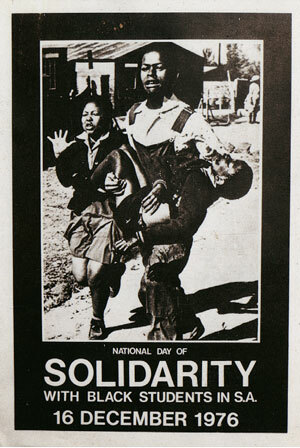 Poster produced for the Christian Institute, 1976 Incorporating detail of photograph by Willie De Klerk. Courtesy of Bruce Campbell Smith.